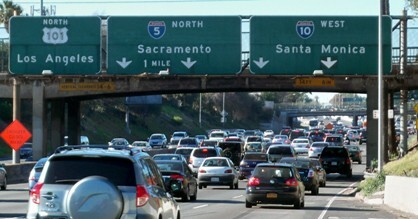 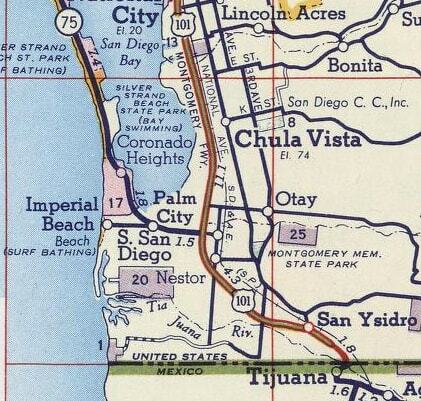 Geographically speaking, US 101's number is arguably the worst violation in the US highway system. 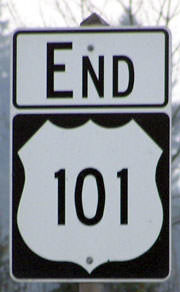 The number "101" implies a branch of US 1 -- which is some 3000 miles to the east (more on the anomalies page). 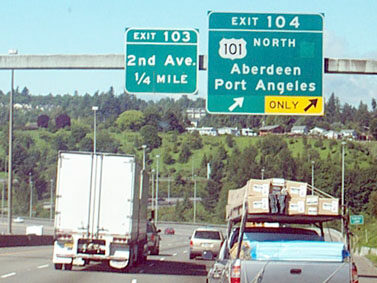 In addition to that, the use of a single highway number for a road that turns around and heads the opposite direction for a significant distance -- as US 101 does in the Olympic Peninsula -- makes directional signage decisions more difficult. 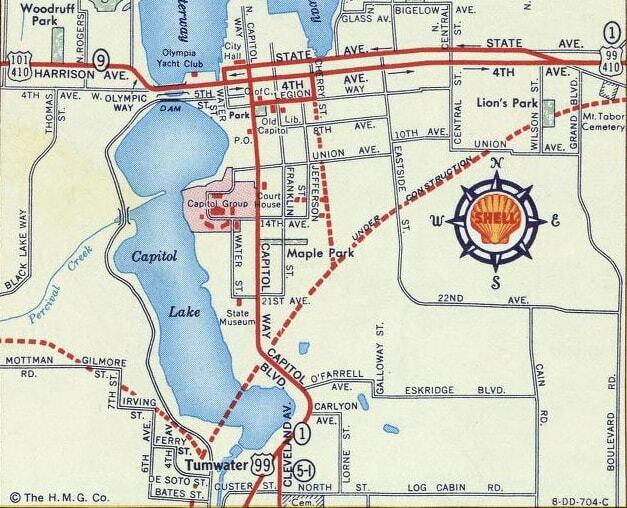 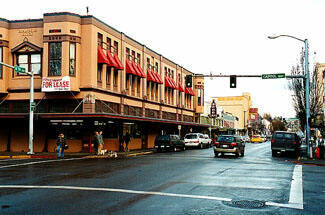 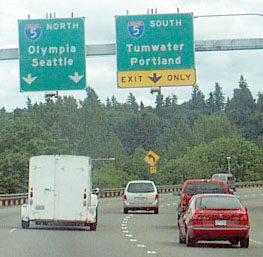 Until the 1990s, Olympia-bound traffic was signed "North" along the entire route, while the opposite direction was signed "South"... even the segment that heads north from Olympia for nearly 100 miles. 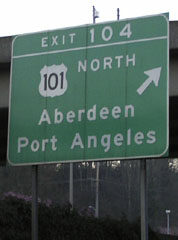 Of course that was perplexing to drivers, so now US 101 is signed "North" from Olympia to WA hwy. 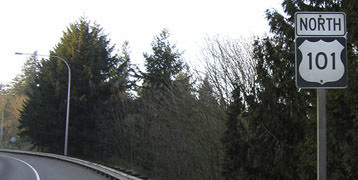 20 at Discovery Bay, then "West" from there to WA 113 at Sappho, and then "South" through Aberdeen and into Oregon. 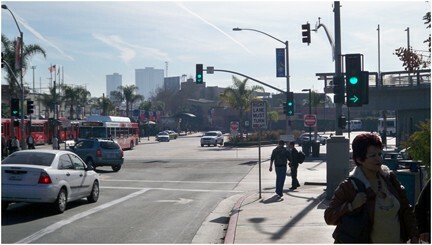 But signage does not appear to be 100% consistent, and regardless, it is still a tricky situation. 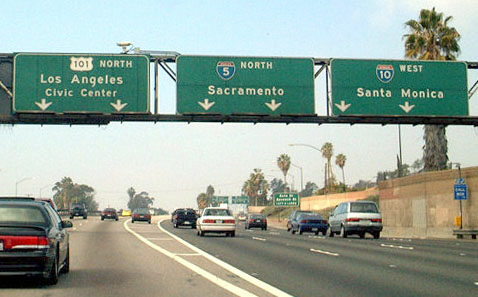 From that perspective, southbound US 99 traffic came in from the right (west on State), and then turned towards the camera (south on Capitol). 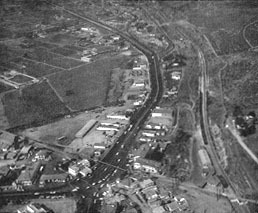 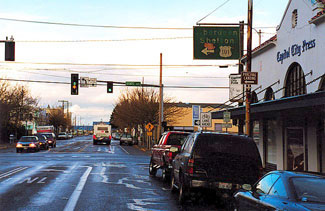 But if a driver continued straight on State (to the left), they would have been at the beginning of US 101 (the control cities are "Aberdeen" and "Shelton").